Sources For Irish Family History is a guide to books, monographs and periodical papers on Irish families. 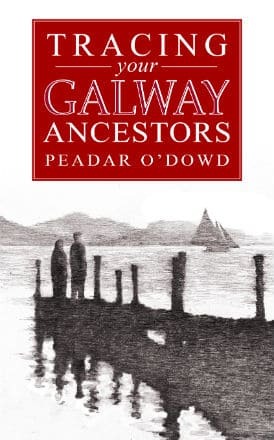 The references cited are mainly accounts of particular family lines and vary from fond and emotional accounts of families and their ancestral homes to dispassionate, well-researched and fully documented family studies and pedigrees. The greater value of the material in these references is to put some human dimension to the barren facts that may be obtained from the usual range of records. No church or civil record will inform us that our ancestors were wonderful singers or dancers; or of the details of their travels or their occupation; nor whether their recorded marriages were the culminations of great romances, or of family arrangements. Such information can, however, be occasionally found in the memoirs & letters detailed in the articles and books listed here. The sources are not your usual ones, so they provide new avenues to research. …… The book contains good source information which should not be overlooked, as it gives both name and place and can be followed, even if your family name is not the one referenced, because of the county leads. Not your usual references, so there is no duplication.